Kevin Allred, professor of the Women’s and Gender Studies course “Politicizing Beyonce”, was forced to undergo psychiatric evaluation Tuesday night after a string of anti-Trump tweets and comments. 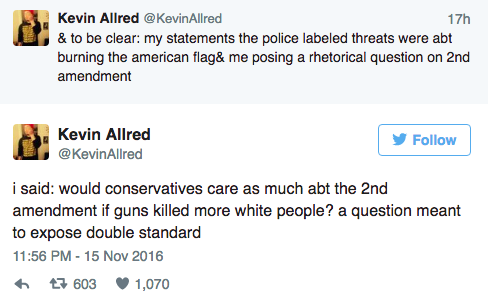 Allred states that it was only a rhetorical question to prove his point about gun violence and not an actual threat. 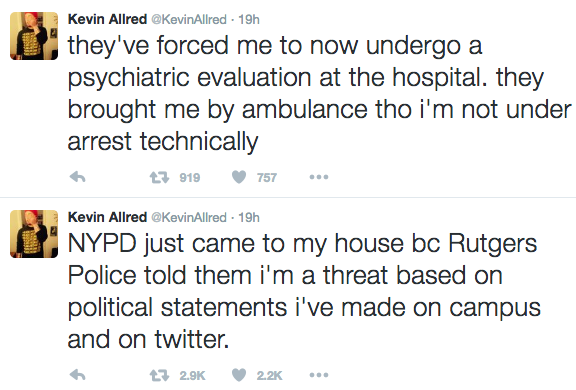 Allred was taken into NYPD custody and escorted from his Brooklyn home to Bellevue Hospital by ambulance. The NYPD stated that Rutgers officials had tried to contact him in the past but to no avail.“I have no record of them trying to call me or an email from them,” said Allred. Upon arriving, doctors were confused as to why he was there. He ultimately spent two hours in the hospital before being released.